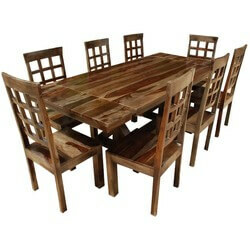 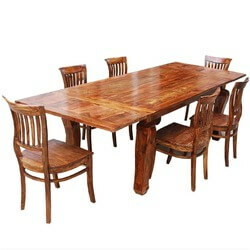 The Dallas Ranch Classic Large Extendable Dining Table For 8 People is carefully crafted by hand from solid Indian . 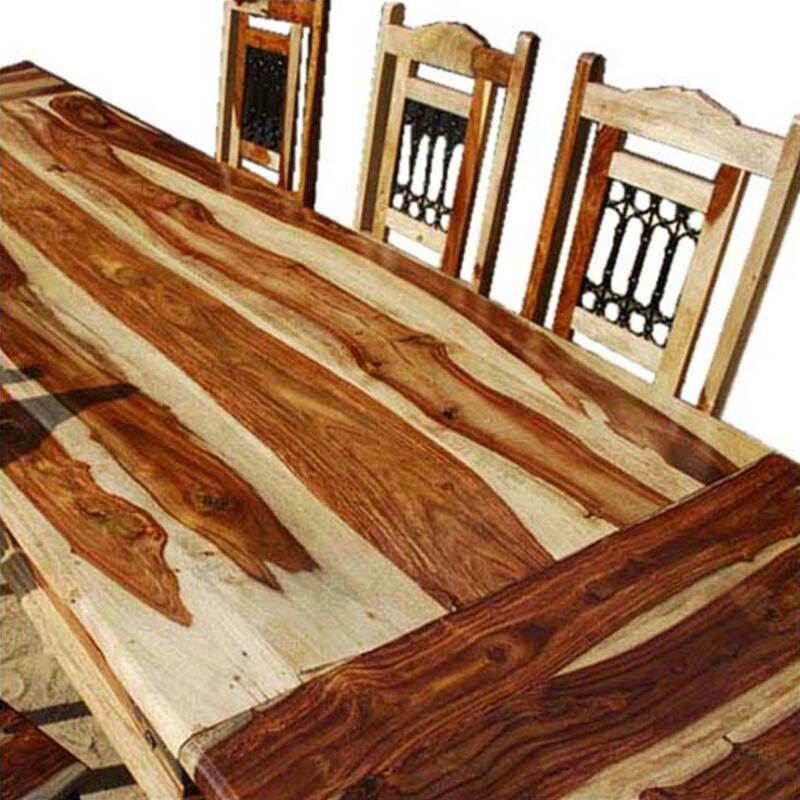 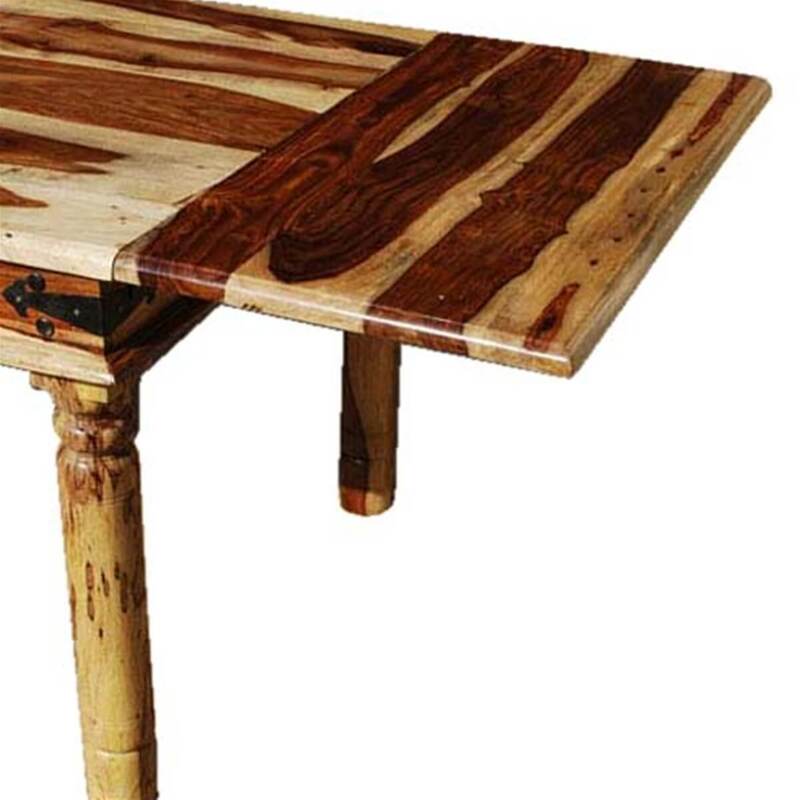 The Vandana pattern shows the light and dark wood grain designs naturally occurs in Solid Wood. 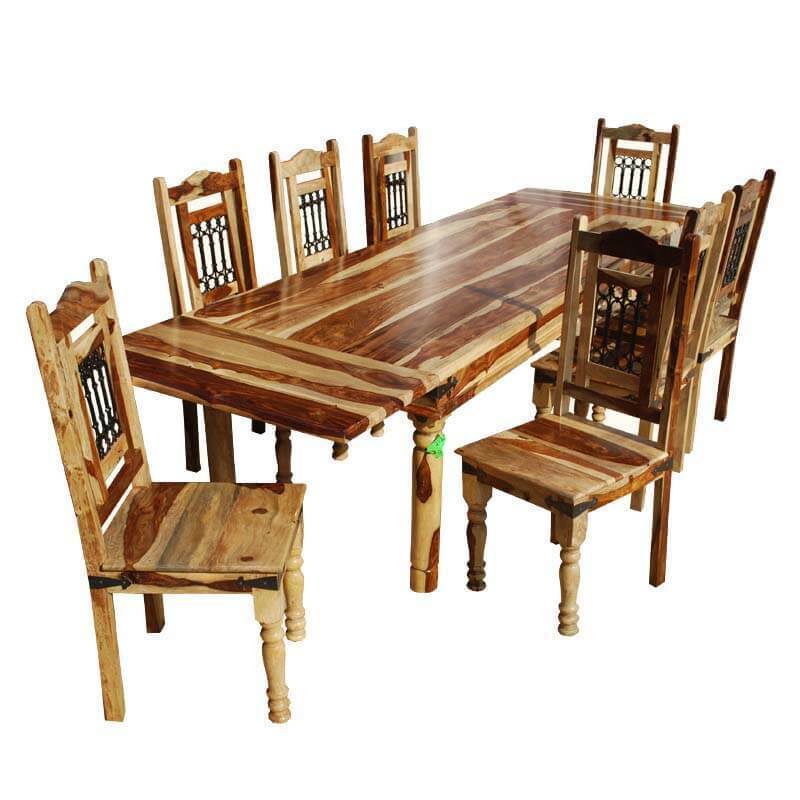 This large and comfortable dining ensemble will give you the space you need for parties and family events with two adjustable extensions. 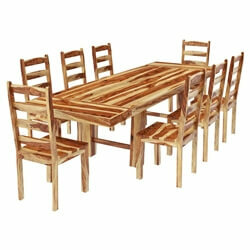 The Vandana design is playfully set in different directions when the extensions are assembled.The set also includes eight chairs with an intricate wrought iron grill set in by hand. 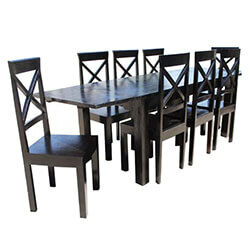 The chairs have high backs and wide seats for optimum comfort. 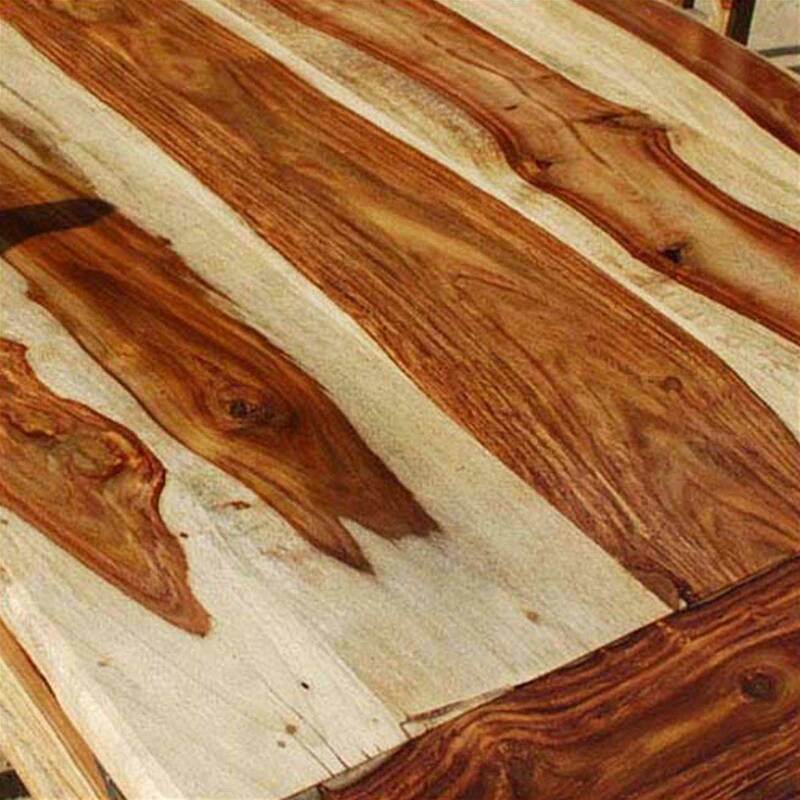 • Hand waxed and finished. 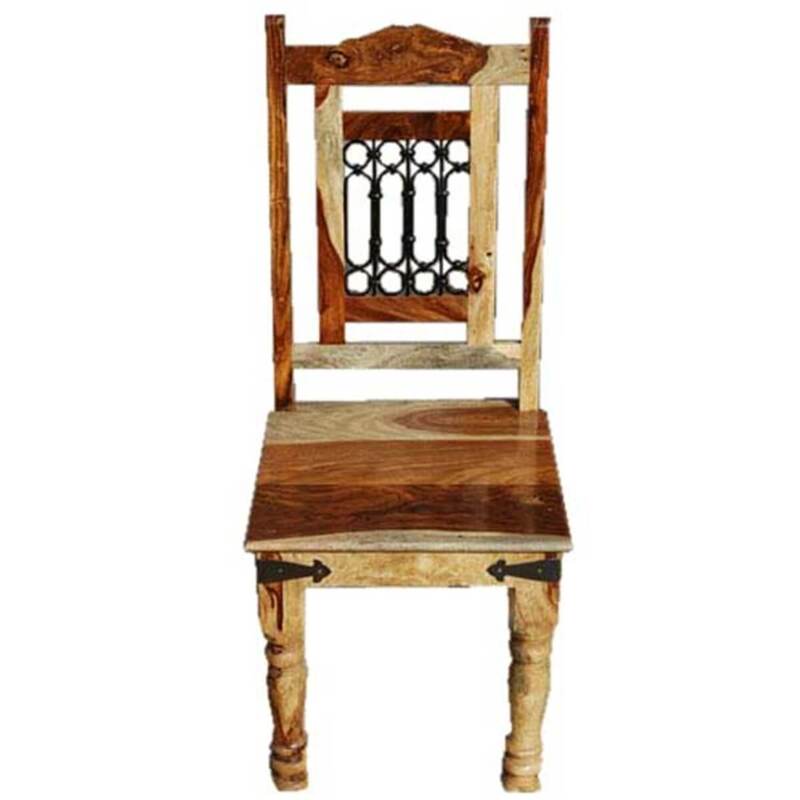 • Decorative wrought iron corner hinges on table and chairs. 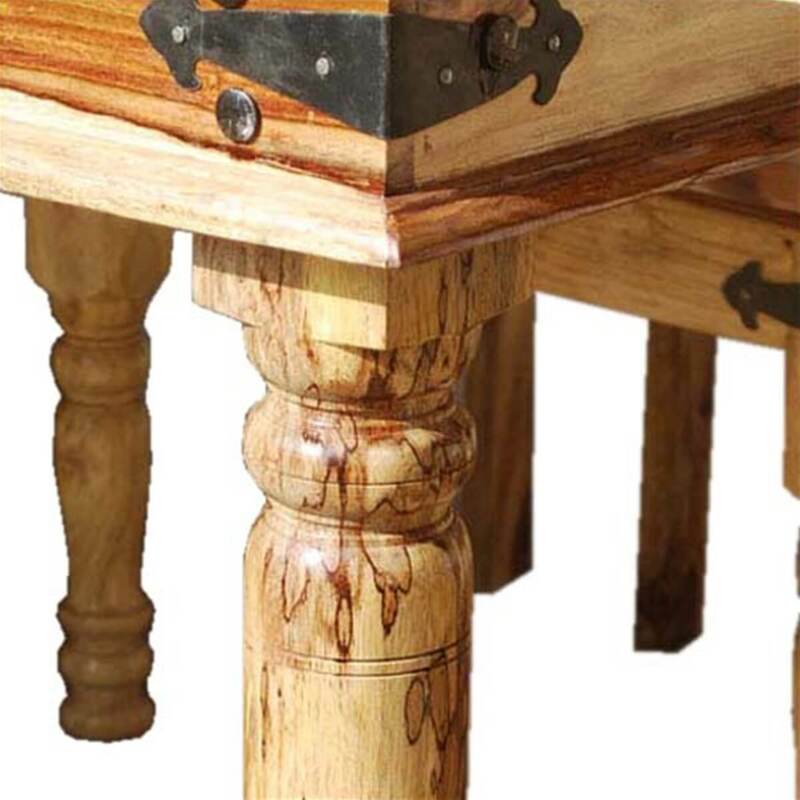 • Chairs feature country column front chair legs and simple column table legs.